When you have an above ground pool set up in your backyard, it’s easy to get some great exercise and stay physically fit. When most people think of exercising in an above ground pool they may think of common swim strokes, including the backstroke, butterfly, or freestyle. However, while these are great and can help you to become a stronger swimmer, there are other types of water fitness you can participate in. Exercising in the water provides resistance and it is able to support your weight. This makes it a great option for people recovering from accidents, surgeries, or for pregnant women. 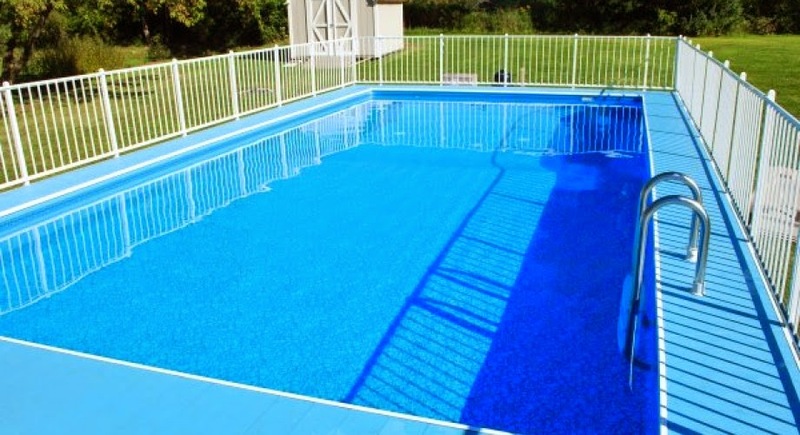 There is a very low risk of injury as long as common sense and standard pool safety techniques are followed. However, as mentioned above, you really don’t need any special equipment to burn some calories in the water. There are several different types of exercises you can do that don’t involve anything else but your own body! Water walking – this involves taking 10-20 steps forward (depending on the size of your pool), and then the same number of steps backward. It will use two different sets of muscles and helps to raise your cardio level. Water squats – you will do a squat the same way you would on land. Bend your knees slightly forward and push your hips back as if you were sitting down. Leg lifts – stand shoulder deep in the water and hold on to the side of your pool. Raise your left leg as high as you can, and then repeat on the right side with 8-10 repetitions. Arm workouts – stand shoulder deep in the water with your hands down by your sides. Next, slowly lift your arms up to shoulder height and then bring them back down. Repeat for 8-10 repetitions. To learn more, or to get a backyard swimming pool of your very own, contact the professionals at Ambassador Pools. We serve New England, including all of Massachusetts, Hudson Valley, western PA, and parts of the Midwest, including Cleveland, Akron, and Canton in Ohio.